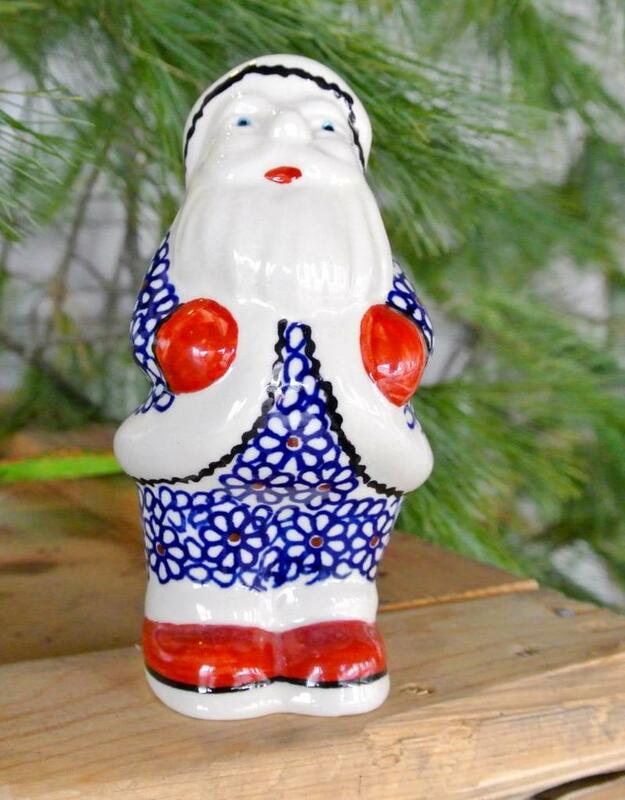 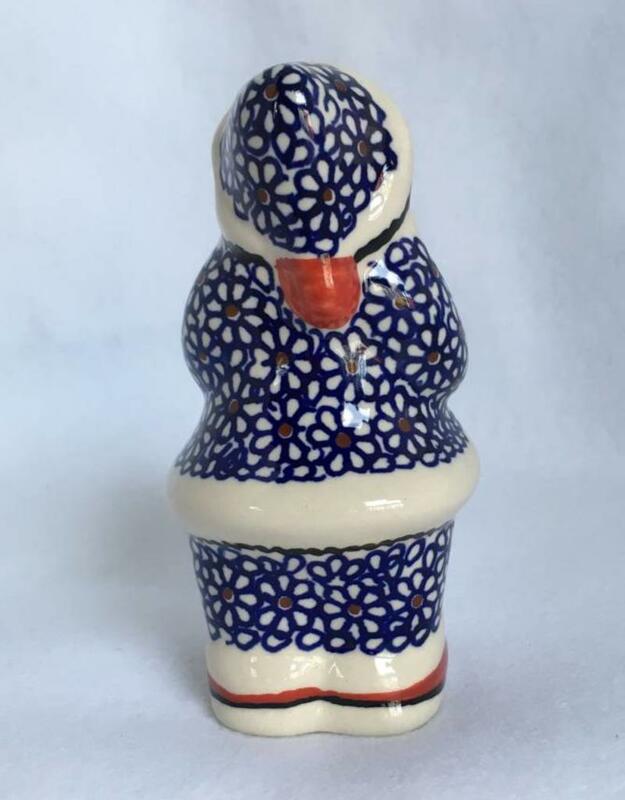 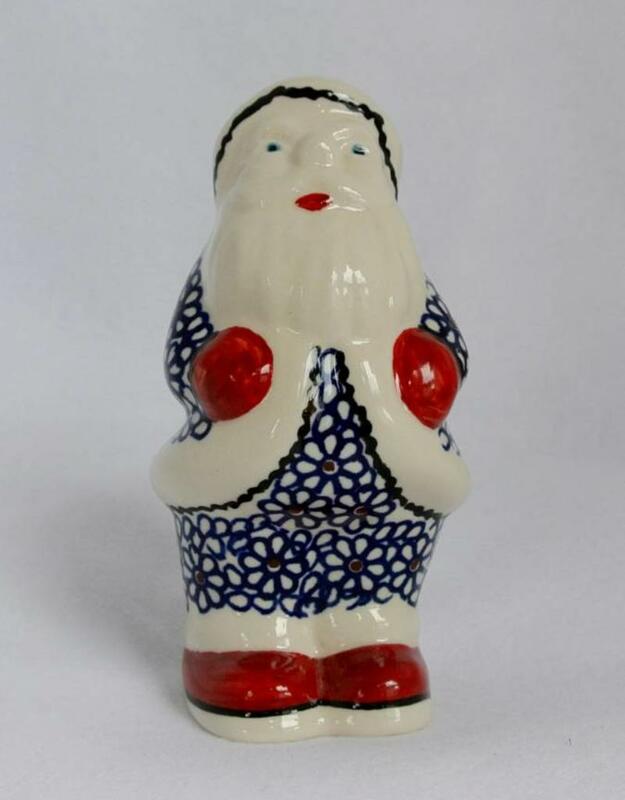 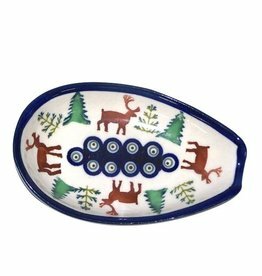 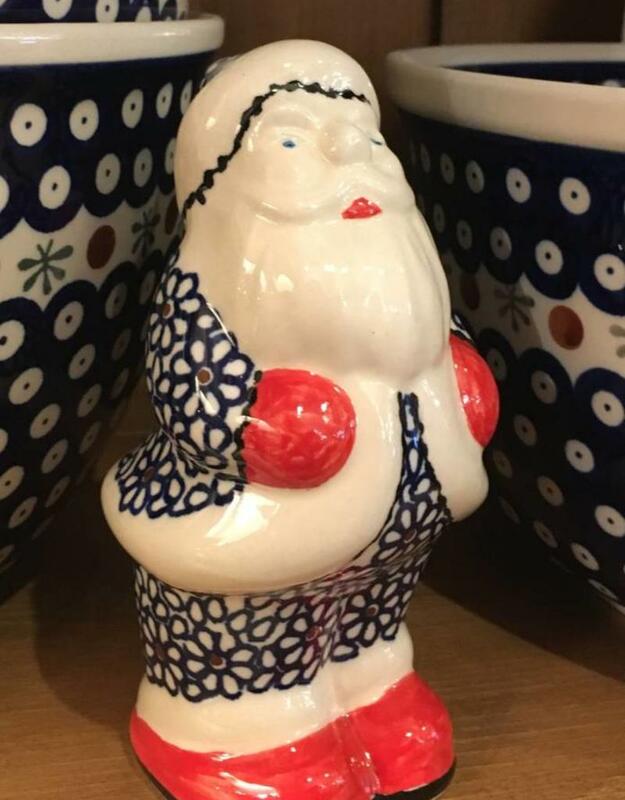 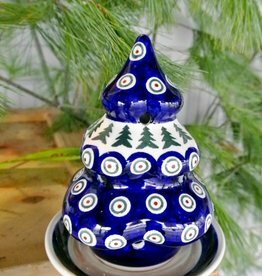 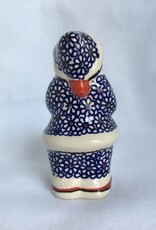 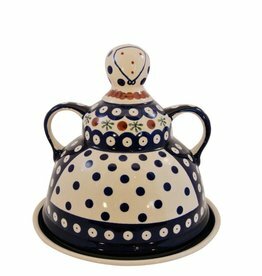 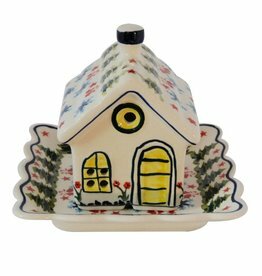 Festive Polish Pottery Santa Clause. 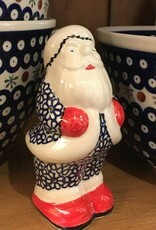 Approximately 6 inches tall. He will brighten any room!